The medical transcription industry has come a long way. From ancient notes on papyrus to completely digitized documentation, there’s no denying the growth of medical transcription. However, many seem to feel that the medical transcription industry is dying due to advancements in artificial intelligence and voice recognition software—and that couldn’t be farther from the truth! The future of this industry is bright, and it’s not going away any time soon. But to fully acknowledge where this industry is taking us, we must first learn where it came from. By understanding the history of the medical transcription industry, you will be able to clearly see the path for the future. Ready to dive in? Follow along with us below to learn more about this industry, and how you can play a part in its future. Did you know that some of the earliest medical documentations date back to 1600 B.C. in ancient Egypt? Egyptian doctors were using papyrus to jot down notes from surgical procedures for learning purposes, so they wouldn’t forget their successes later on. Flash forward to the early 1900s, where medical record keeping had become much more mainstream. However, doctors weren’t taking notes to better patient care. Similar to the Egyptians, they were simply trying to remember what worked and what didn’t. Physicians didn’t begin to truly understand all of the benefits to medical documentation until healthcare facilities began emerging in the early 20th century. The standardization of patient information was crucial to the growth of the medical industry, which is what influenced the need for medical scribes. Once hospitals started realizing the need for accurate patient documentation, the role of the medical transcriptionist was created. Having an in-house transcriptionist was common during this time. Transcriptionists provided physicians with short-hand patient notes, which helped grow the transcription industry even further. Over the years, technology continued to evolve. Voice recorders started to play a huge role in the transcription process. These recorders allowed transcriptionists to record patient conversations and transcribe them at a later date. While this process is still used today, it has become optimized for the present needs of medical transcription. Today, technology has continued to advance in ways that are truly unimaginable. With the growing adaptation of electronic health records (EHR), healthcare facilities are starting to go completely digital. Long gone are the days of papyrus and handwritten patient notes. Now, physicians use tablets and laptops to document patient information. 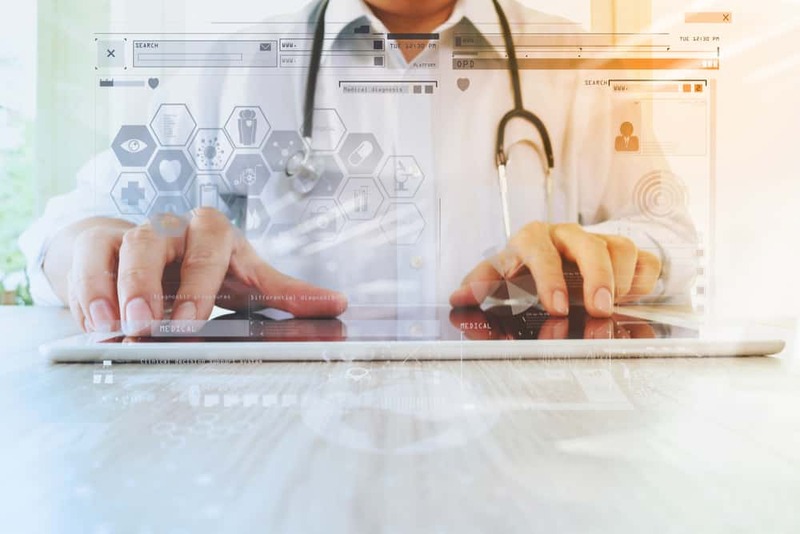 Things like interoperability and easy-to-use software are more important than ever in the medical transcription industry. As EHR continues to advance, so will the medical industry. Nowadays, fewer practices are using in-house transcriptionists, some of which can’t afford the extra cost an in-house transcriptionist brings. 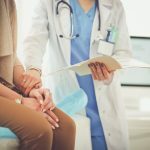 In most cases, the lack of a transcriptionist forces physicians to take detailed patient notes in their EHR, costing them precious time and valuable face-to-face interaction with their patients. This, in a way, makes it seem as though the healthcare industry has taken a step back when it should be bounding forward. However, despite apparent setbacks within healthcare facilities, the medical transcription industry continues to jolt forward. Practice managers are once again beginning to understand the need for medical transcription, and how it can truly change the trajectory of their practice in the future. We know everyone has mixed feelings about “the Cloud”. However, Cloud technology is going to completely change the game when it comes to medical transcription. By storing patient data within Cloud technology, practices won’t have to struggle with issues like interoperability. The Cloud will allow physicians all over the world to gain granted access to patient data. This advancement does not mean that patient data security will be at risk—actually, data security is predicted to increase! However, this does mean that patient care will improve drastically. By increasing interoperability, specialists or emergency providers will have quick and necessary access to patient data. This will improve patient care significantly, and promote communication between healthcare providers. Since technology and communication will continue to advance, so will the globalization of the medical transcription industry. More practices will realize the benefits of outsourcing their medical transcriptions, making it a worldwide industry. In the past, outsourcing medical transcription was a worry for practice managers because of the lack of technological and communicative advancements. Since these are being drastically improved, practices will begin outsourcing medical transcription services. The cost benefits of outsourcing is a huge selling point for practices, too. Like we mentioned before, not every practice can afford the expenses of an in-house transcriptionist. 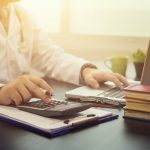 Costs like salary, benefits, paid time off, holidays and sick days cut a sizeable dent into any practice’s budget. By outsourcing medical transcription, your practice gets all the benefits of a medical transcriptionist at a smaller price tag. Even with all of these advancements in technology, some practices are still using analog devices. However, with the upcoming medical transcription improvements, these devices will officially become obsolete. In the near future, medical practices will be completely digitized. EHR is becoming more widely adapted, not to mention the increase in outsourcing. As these continue to advance, technology will be forced to advance with it, eliminating any outdated technology still remaining in practices. The growing adaptation of EHR will cause an increased demand for highly skilled medical transcriptionists. EHR is an ever-changing platform and one that will continue to change in the future. Due to these changes, practices will need educated transcriptionists to effectively operate within these systems. The more skill and training these transcriptionists possess will only help them continue to grow within the industry. Incorporating Cloud technology with technological advancements and updated EHR will undoubtedly increase security measures. Likewise, as digitization continues to advance, updated security defense will be crucial for every practice. More programs will be in place to secure patient data, allowing your practice and its patients to have peace of mind. Access to this data will also be more controlled, giving each user a separate username and password which will grant them access to different parts of the software. Since not everyone in your practice needs access to private patient data, these extra measures will help secure patient information even more. As we’ve mentioned previously, EHR will continue to advance drastically. In 2017, almost 90 percent of practices had adopted some form of EHR. As EHR advances, this percentage will only increase. EHR will also improve usability, interoperability, data security and more. Electronic health records will be even easier to operate, especially when they are outsourced to a medical transcription service. Outsourcing EHR will improve the patient-provider relationship, save physician’s time and save your practice money. This benefits of outsourcing will promote productivity within your practice, too, allowing it to grow in the future. Many people believe that artificial intelligence (AI) is the future of medical transcription. We couldn’t disagree more. While the benefits of AI are difficult to deny, it lacks the human touch that the future of medical transcription so desperately needs. AI in medical transcription is the process of using a computer to transcribe medical information. While this may seem like an easy and effective process, it isn’t foolproof. This is when it benefits to have a human transcribing medical data. Transcriptionists possess the skills to understand medical terms and jargon—something a computer simply cannot do. This understanding of medical nuances is what makes medical records that much more accurate. After all, accuracy is key within the healthcare industry. At DataMatrix Medical, we are continuing to evolve with the future of medical transcription. When you outsource your transcriptions to us, you will receive a team of highly skilled, human transcriptionists to complete your transcriptions quickly and accurately. What’s even more, we can work within any EHR system, and fully customize our transcription services to uniquely fit your practice. So as your documentation within your EHR improves, your practice will grow too. We respect the history of medical transcription, but we pride ourselves on being part of the future. The medical transcription industry will continue to grow, and we want to help you grow with it. Ready to make history with us as we forge into the future of medical transcription? Start a two-week free trial to see what the DataMatrix Difference is all about. With a digital future ahead of us, giving a human touch to medical transcription is more important than ever. Download our offer, The Power Of Intent: Why Words Matter In Medical Transcription below.